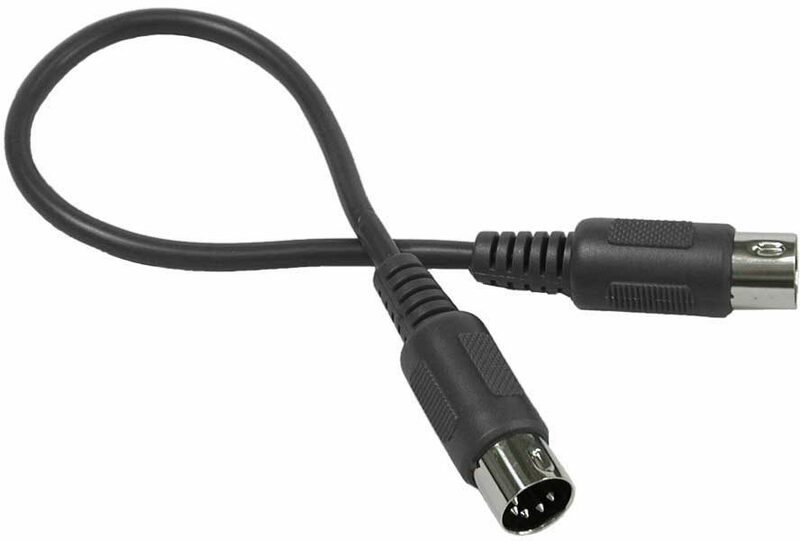 All Hosa MIDI cables feature precision-molded terminations for a tight, positive fit. All 5 pins are discretely (individually) wired, with one conductor forming the high-density spiral shield. Recommended for all MIDI use, including computer sequencing, transmission of MIDI Time Code, and system-exclusive uploading/downloading. "Works well for midi relay"
Overall: I use these to control the options on my Laney Ironheart head with midi. My rig is a Digitech GSP1101 rack effects unit that is controlled by the Digitech Control 2 footswitch. I wanted to have total control and be able to change my effects pressets as well as amp channels and boost. My GSP1101 sends midi to Voodoo Lab Control Switcher with a 5 pin Hosa midi cable and the Control Switcher sends the midi through these Hosa Y cables into my Laney head. I can go from a clean setting on my amp with some chorus, reverb and delay to an all out high gain setting with a bit of delay and activate the built in boost on the laney with the click of one button instead of multiple buttons. These cables, although inexpensive make a big difference in the control I have. NO MORE TAP DANCING!! !